A shower curtain in your bath is a necessity, but can’t it be a piece of art as well? 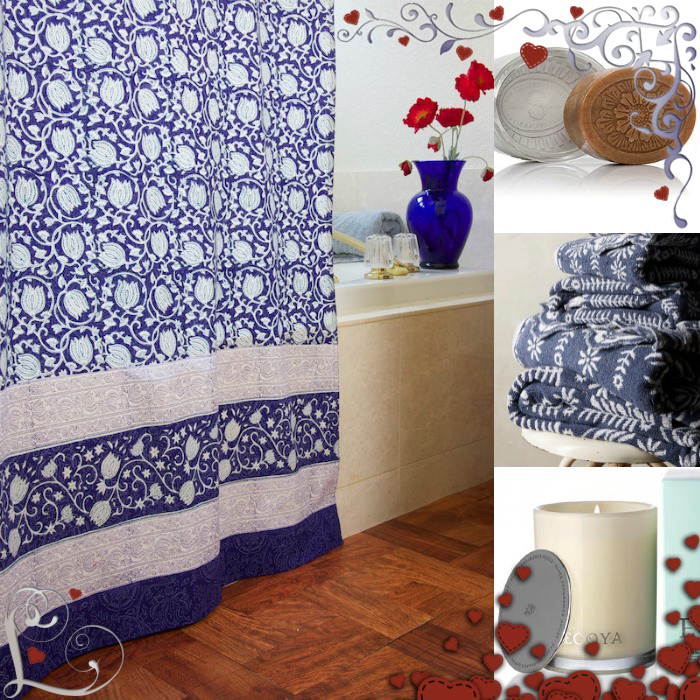 I think you’ll say “yes” when you see and feel our artisan made, soft cotton shower curtain. 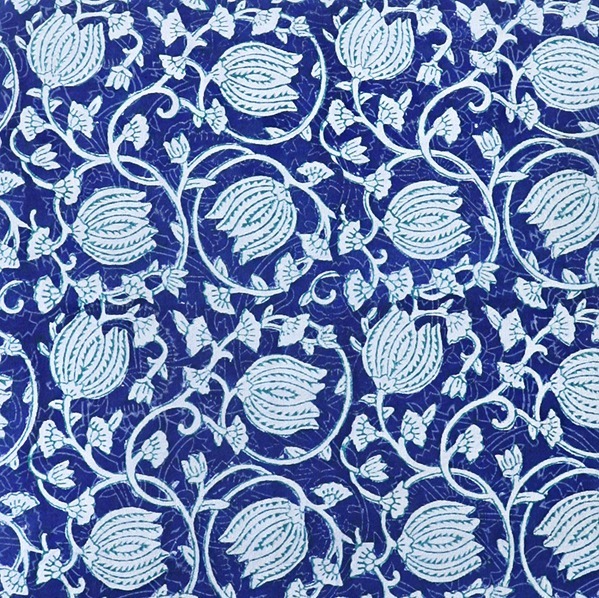 Milky white lotus flowers and vines scroll across a bold blue background on this authentic Indian printed fabric. 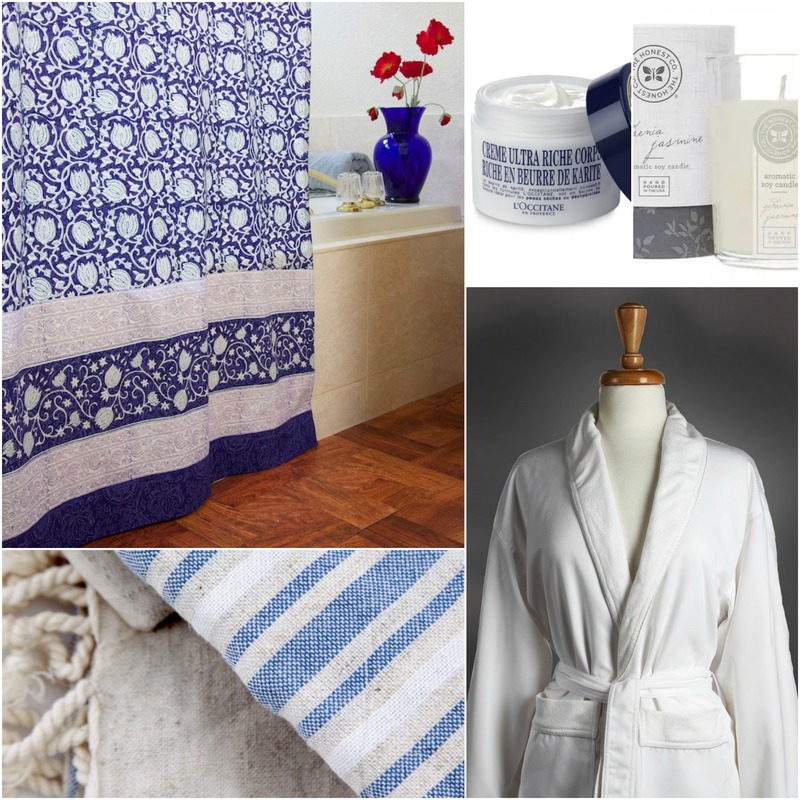 It is certainly no “big box” item, and the gorgeous one of a kind linen will upgrade your bath in an instant! 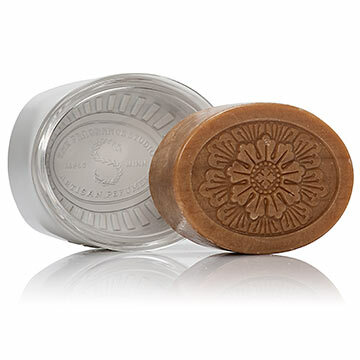 Add to the luxury of your bath, and build on the lotus theme with a soap from Thymes in their Lotus Santal collection. Now, while I’m sure that this soap smells heavenly, I’m tempted to frame it rather than use it! It’s gorgeous! 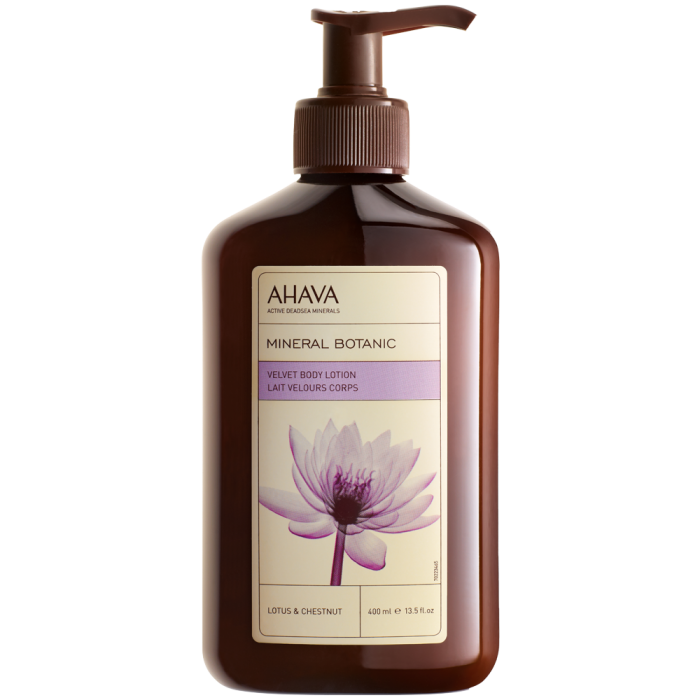 Reported to be wonderfully hydrating, Lotus flower lotion is just the thing our body wants as we hit mid-winter. Lather on the lotus, and bask in the aroma and happy skin. Happy Valentine’s Day to you! Sweet, light floral notes that hint of spring and summer… are you kidding? I’m in heaven just thinking about it. Whether you stay at home for Valentine’s Day or plan to head out, add this fresh, contemporary blend first to your bath routine. It will clear your head and brighten your outlook. 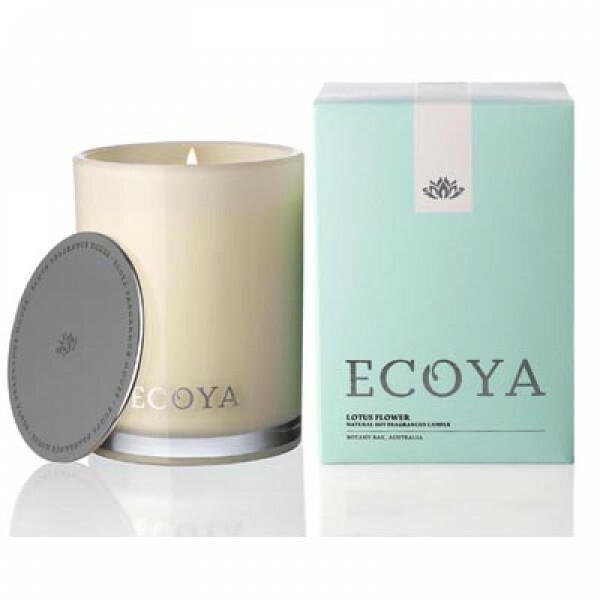 Lotus, vanilla and patchouli combine to create a sensual atmosphere that will almost certainly cue romance. 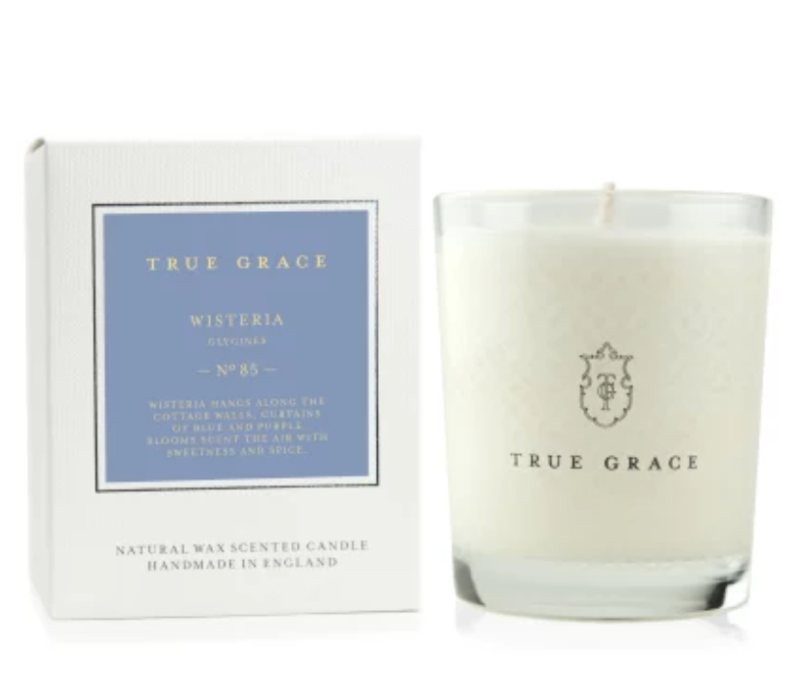 Create a mood by lighting this natural soy candle as you get ready for the evening. 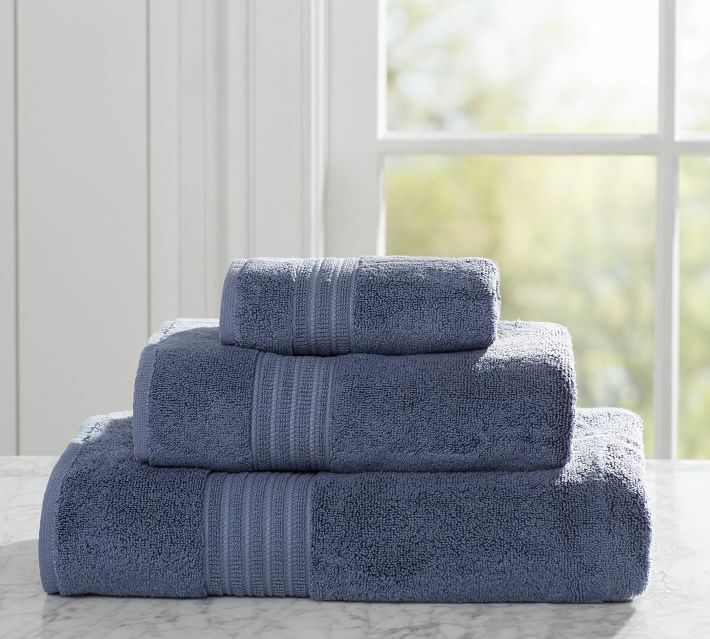 Using towels that coordinate in color and style really bring a cohesive look to your bath. I love the chunky, scrolling look of both of these sets. 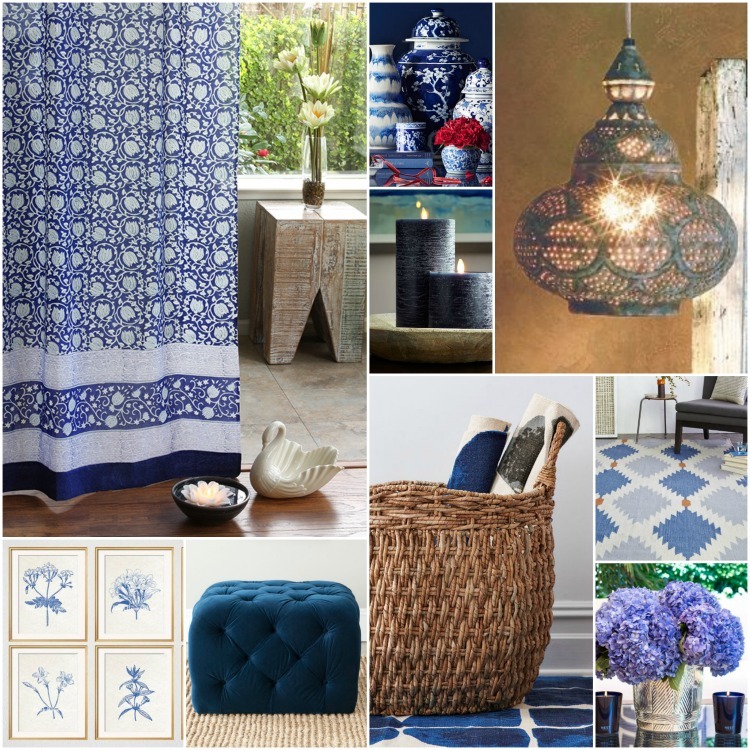 If you have light walls, take advantage and create buzz with richly dyed blue bath towels. Lovely opposite Midnight Lotus! Now that you’ve seen Midnight Lotus in a bath, you may be interested in how this print works around the rest of the house. See everything Midnight Lotus in our collection! Treat Mom to an Exotic Blue Spa Day! 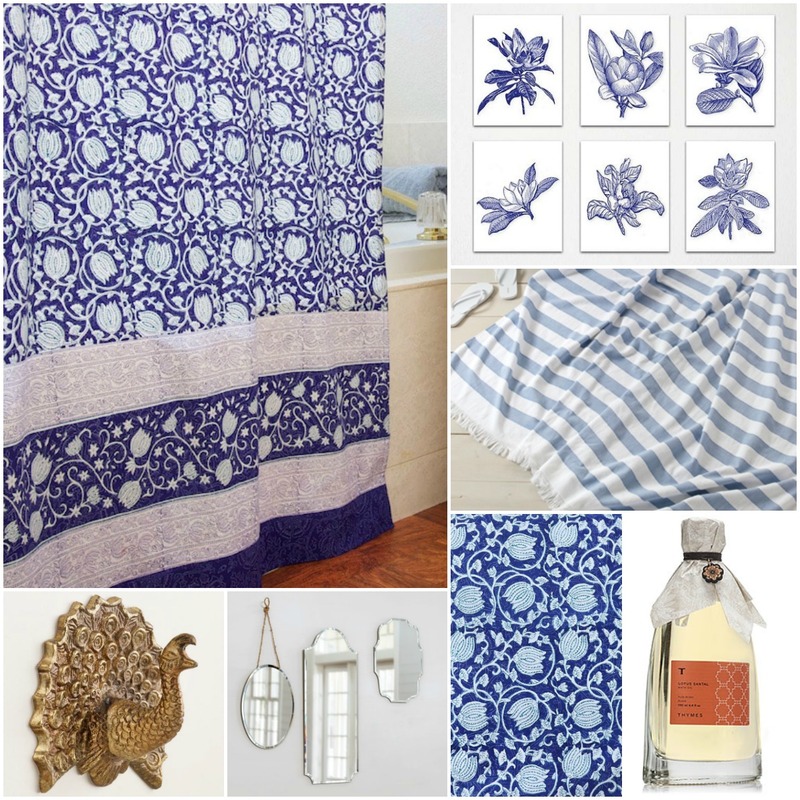 I love the blue and white duvet covers I use all the time in my blue and white home! 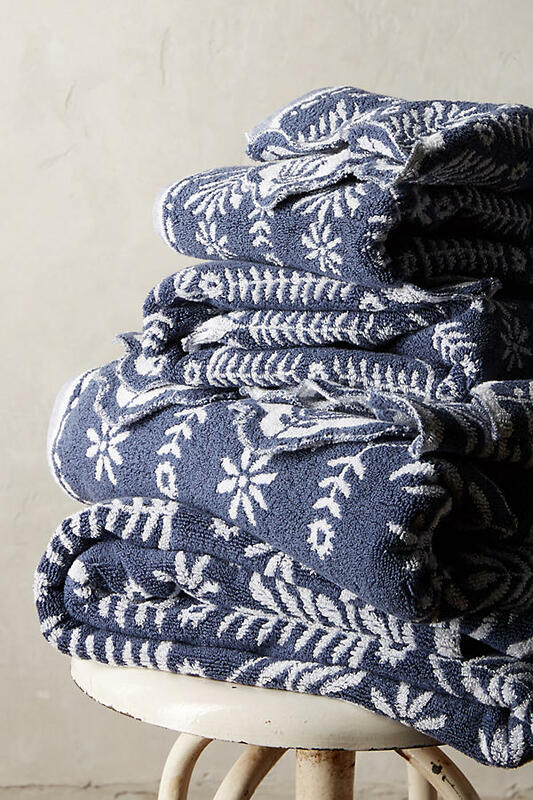 The bath towels are not good choices, too crude, rough. Something simpler finer quality would work much better. ← Create a Rosy, Romantic Bath Just in Time for Valentine’s Day! → Re-Do Your Bath with a Bit of Mosaique Magic!